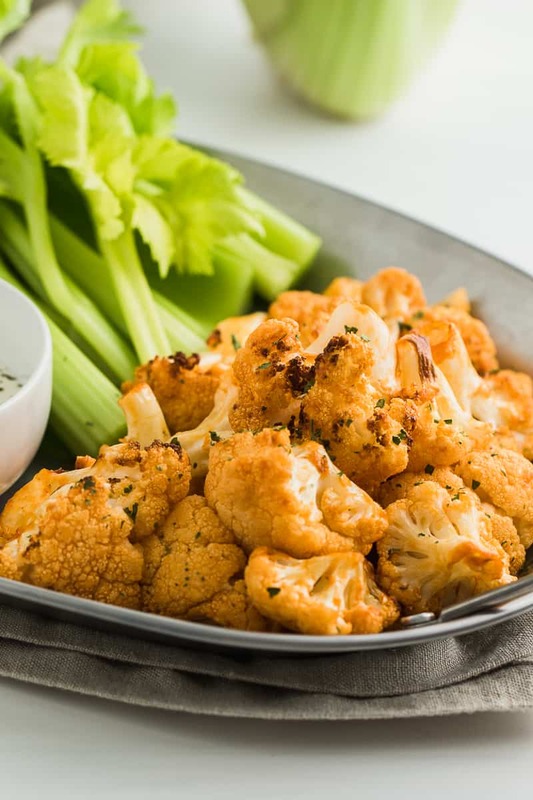 Keto Buffalo Cauliflower Bites Recipe– easy to make, Light, tasty and a much healthier version of the classic Buffalo Wings. 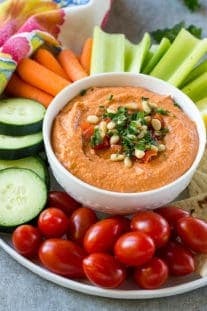 This Vegetarian dish is insanely delicious and is perfect snack or appetizer for a group to enjoy. Love buffalo wings but not too fund of how unhealthy they could be? Swap the chicken wings with cauliflower instead for a much healthier version and same great taste! 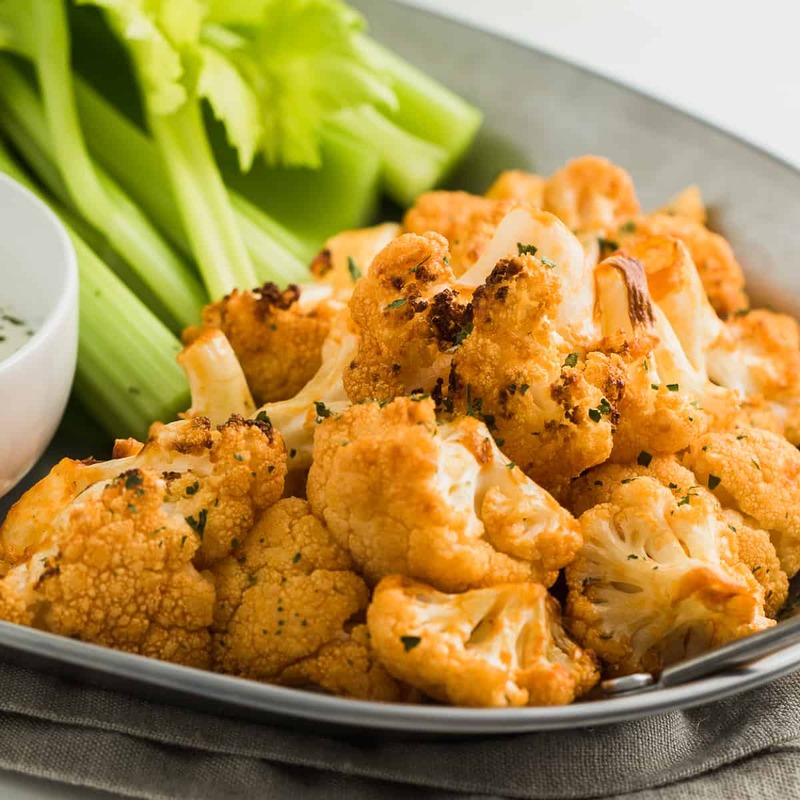 This Buffalo Cauliflower Bites recipe is easy to make, very tasty and keto- friendly. 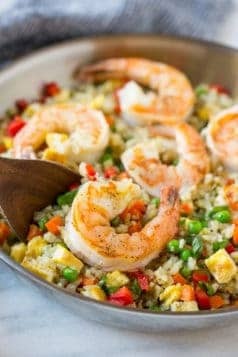 Make this recipe as a snack or appetizer and it will definitely be a winner. What are the benefits of eating Cauliflower? Other than the fact that cauliflower is a great replacement in many recipes for cutting down on the carbs, Cauliflower is high in antioxidants and helps boosts your immune system because they are high in Vitamin C.
Among many other benefits, cauliflower has anti-inflammatory properties, aids in preventing heart disease, reduces stress from free radicals, defends against cancer and prevents constipation. 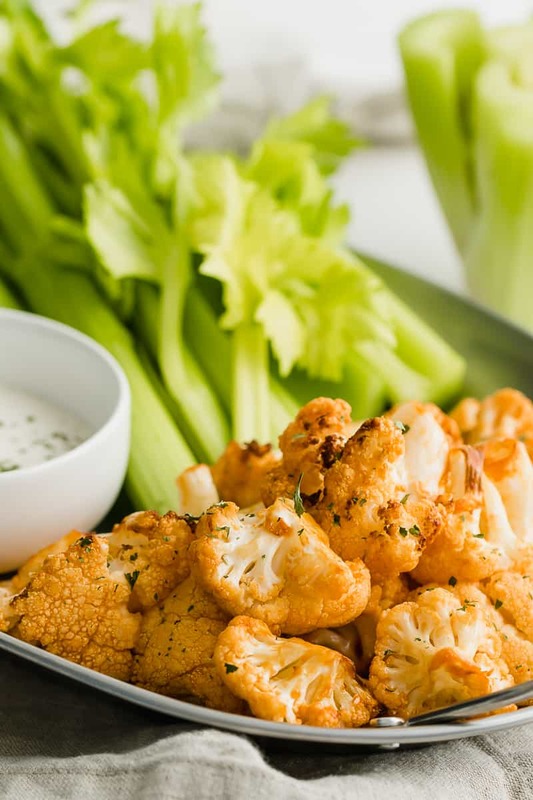 Make this Buffalo Cauliflower Bites recipe and think about all these benefits while enjoying every bite! Is Cauliflower good for losing weight? 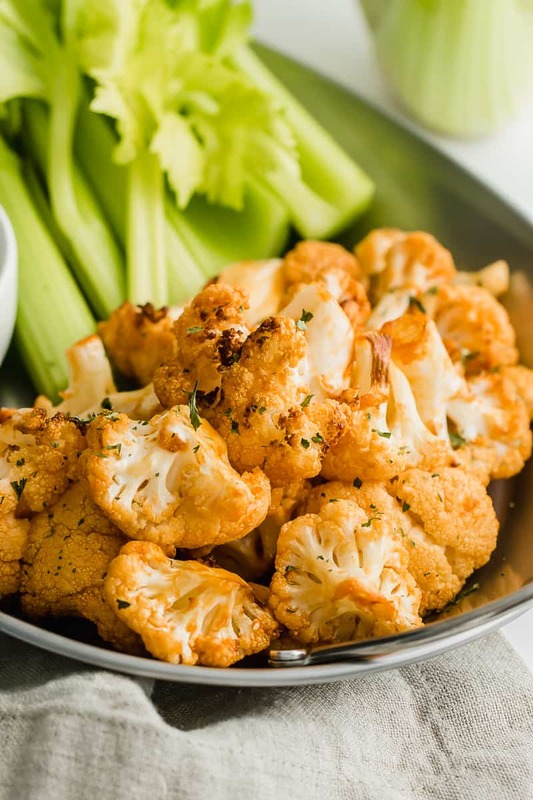 Cauliflower is very low in calories. 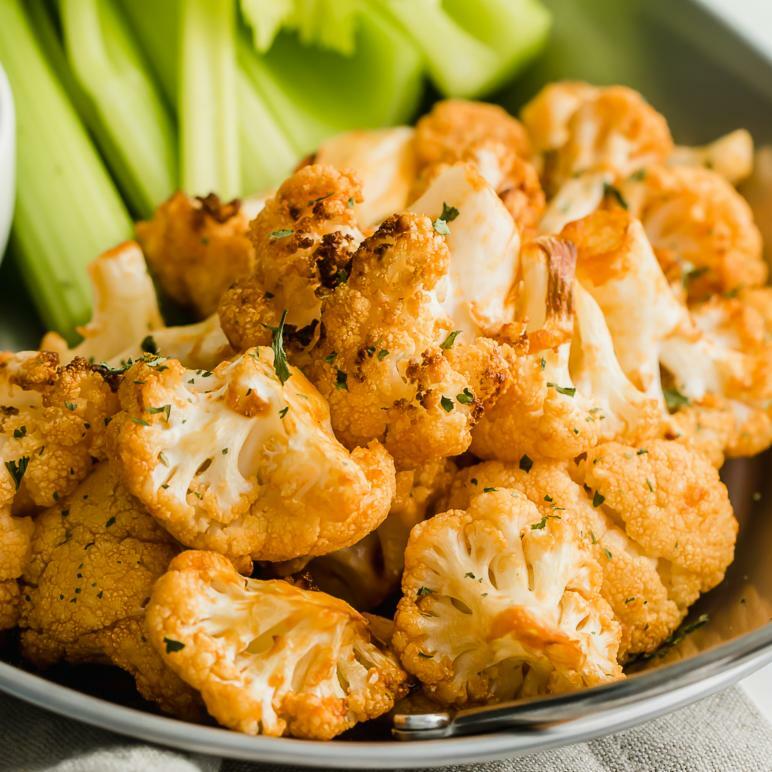 One cup of Cauliflower has about 25 calories and a great source of fiber. 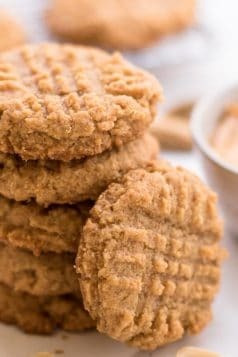 They help promote weight loss because they are high in fiber, have slower digestive properties and makes you feel full. Also, Cauliflower has a high water content! Did you know that the weight of a Cauliflower is 92% water? Think about that every time you make this Buffalo Cauliflower Bites recipe. I would love to see your remakes, please don’t forget to tag me on Instagram with my hashtag #healthyfitnessmeals so i can see your remakes. 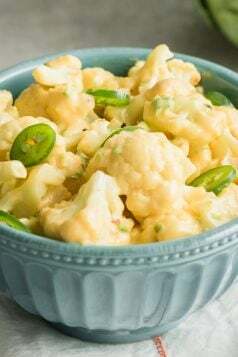 Save this Buffalo Cauliflower Bites Recipe and share it with your friends and family. 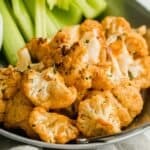 These cauliflower bites are super yummy, keto friendly and taste just like the traditional buffalo wings but lighter and healthier. Preheat oven to 450F or air fryer to 400 F. If using the oven, prepare a baking sheet with tin foil or parchment paper. In a bowl, melt the butter and stir in the garlic powder, salt and buffalo sauce. Toss the florets with the buffalo sauce mixture until well coated. Place them on the baking sheet and cook for 20-25 minutes or until roasted. If using an air fryer, cook them for 10-12 minutes until roasted.